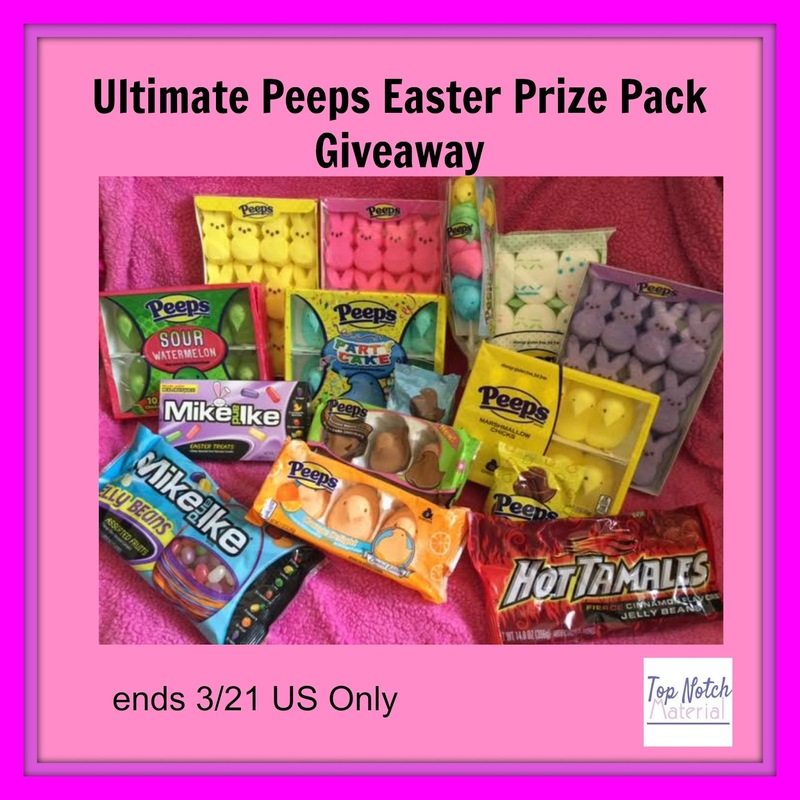 Peeps are the perfect Easter treat, throw in Mike and Ike and Hot Tamales and it gets even better. I just got a huge package full of Peeps and other Easter treats. See which ones were my favorite from her review . Follow the Giveaway Tools below and enter for a chance to win your own prize pack full of treats. My favorite flavored peeps is the grape. I love the flavor of them. The mini chocolate covered peeps are the only ones I can eat, but the rest of the flavors sound amazing. I like the original peeps best and yellow or white. I like the pink bunny peeps. The plain old yellow peeps are by far my favorite! The old school lavender colored PEEPS are my favorite. So much nostalgia. My favorite peeps are the yellow ones. I like the original yellow peeps. I like the original Peeps-color not important! 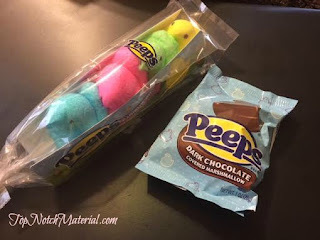 I am a fan of the classic peeps, any color; but would really like them for my baby bro and kids. He is a big fan. I like their Original Yellow Peep. I am an original flavor girl!! I love just the regular plain peeps! Omg I love peeps ! I love the bubble gum flavored Peeps! I like the milk chocolate covered peeps! I have always preferred the original Peeps. I like the milk chocolate covered peeps. I like the Original yellow peeps best. I like the yellow peeps. I love the classic yellow (stale) Peeps. My favorite are the original peeps. The yellow ones are my favorite. I think I've only tried the original flavored ones. Chocolate peeps are my favorite. My daughter is the real Peeps lover. She devours them all. My favorite is the milk chocolate covered Peeps. Sweet Lemonade would be my flavor of choice. I like the original peeps. My favorites are the pink rabbit ones because they're so cute! I really like the Vanilla Creme Peeps the most of all of the flavors that they have. Oh, the milk chocolate covered peeps are definitely my favorite! vanilla creme for us! thanks so much for the chances to win. My favorite flavor of Peeps are the original! My favorite flavor is Sour Watermelon. Strawberry Creme is my favorite flavor. I love milk chocolate covered Peeps!